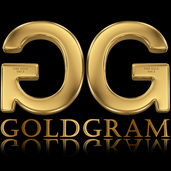 About me GoldGram aims to provide crypto market and commodities market analysis. US oil prices rose for four consecutive sessions, with April West Texas Intermediate crude increasing by 0.6% priced at $58.61 per barrel. However, domestic supplies for crude ended on a negative note decreasing by 0.5% at $67. XRP is looking for bull in a week. BTCUSD will continue pull back ? lets check the support .